No more wasting your entire day on an expensive trip to the car dealership to get new laser cut car keys. Pros On Call provides professional automotive locksmith services during traditional situations and emergencies. If you’re seeking professional results following a major or minor lock situation, our locksmiths won’t let you down. We come to you 24/7 ready to replace or duplicate your laser cut car key on the spot! 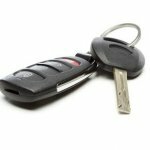 Call now for more information or to request immediate car key assistance. With 5+ years of experience, each of our licensed, bonded, and insured technicians have successfully served homeowners, business owners, and drivers by using commercial-grade tools and equipment to resolve a variety of lock problems. And this includes on the spot laser cut car key replacements and duplications! We fully understand that time is vital when your security is at risk, and this is why our technicians always arrive in 30 minutes or less and are equipped to provide all sorts of car key replacements quickly. Because our mobile crews travel in trucks that are strategically stocked with the latest laser cutting gadgets, delays never occur during projects. What Is A Laser Cut Key Anyway? A laser cut key is designed in a unique way, as it has a shank that’s somewhat thicker than a traditional key. Also, there are fewer grooves on a laser cut key, and this design element affects how the key rotates in a locking cylinder. Many laser cut keys are constructed with a transponder chip, which has to be programmed by professional. The transponder component is an important feature that boosts security. Because these keys have special grooves, highly efficient, commercial-grade key cutting equipment must be used to make replacement keys. As reputable emergency locksmiths, you’ll benefit from working with us when replacement keys are needed since we always invest in the latest laser key cutting equipment. If you’re trying to replace a laser cut car key that was lost or stolen, you can count on us. Since we fully understand how to inspect locking cylinders, we’re able to make proper replacement keys without studying the grooves on the keys that were lost or stolen. When a laser cut car key replacement is needed after a key is broken, we always take the proper steps to strategically remove the shaft out of a lock without damaging delicate or important cylinder components. If a key is stuck in a lock, we’ll use our special tools that are designed to lift broken key components out of a locking mechanism. Before laser cut car key duplication or replacement tasks are tackled, our mobile locksmiths will provide estimates by thoroughly considering the time that it will take to successfully cut another key. During all 24-hour locksmith situations, we proudly commute to many neighborhoods and business districts whenever laser cut car key replacements are needed, and we use proper cutting techniques to cut accurate keys for a variety of modern and vintage vehicles. Once we confirm the total cost of your project, you can relax knowing that there won’t be any more surprise fees after the job is complete. And we will be sure to honestly answer all of your questions along the way. A laser cut key can provide peace of mind because the locks that interact with this kind of key are tougher to pick. Also, if a theft tries to duplicate a stolen key, the process will be challenging, as special equipment is needed in order to successfully accomplish this task. 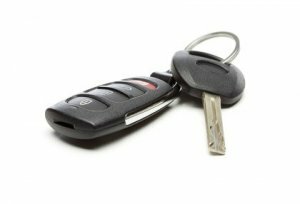 When a laser cut key is required for an automobile, the automotive locksmiths at Pros on Call can help. Contact us today and arrange an appointment for our prompt, dependable laser cut car services. Laser Cut Car Keys https://prosoncall.com/locksmith/automotive/laser-cut-car-keys/ 3.9/5 based upon 12 reviews.